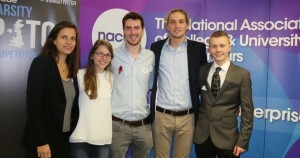 The past year has been filled with success and exciting developments but in the past week we have added to these successes by reaching the final of the NACUE Varsity Pitch graduate entrepreneurship award and by winning the Europe wide Green Alley Award in Berlin! 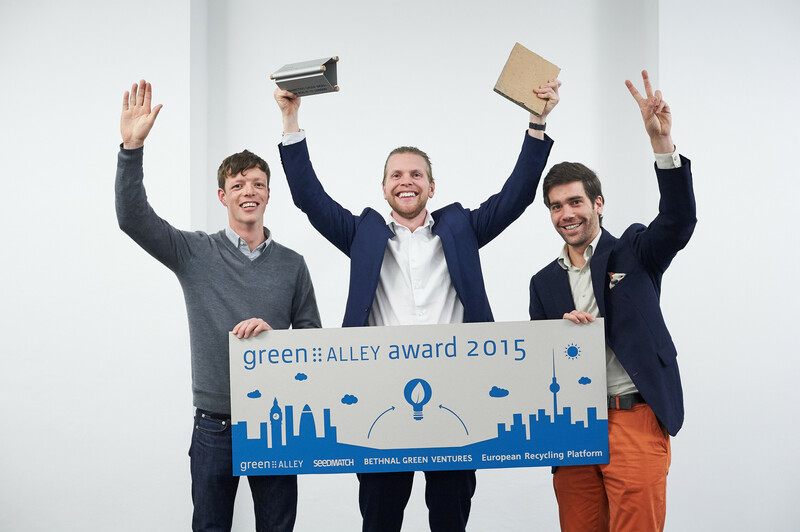 On Sunday the 3st of November Tom, Alberto and Aled flew out to Berlin to participate in the Green Alley Award competition. The competition is the first of its type which solely focuses on the circular economy and is awarded to entrepreneurs and start-ups on an annual basis, rewarding the winner with both cash and noncash prizes on top of world class mentoring from successful entrepreneurs from the circular economy. 100 start ups from 17 different countries entered the competition so to even be selected as one of six finalists was a massive achievement. It was a fantastic day of 1-2-1 mentoring, motivational and educational speeches, culminating in a three minute pitch followed by questions delivered by Tom and Alberto. After watching the other amazing business pitches and a very tense wait, to the delight of the team, Adaptavate were announced as the winners. A short acceptance and thank you speech was followed by some well-deserved celebratory drinks and a dancefloor full of surprises. With sore heads, warm hearts and a feeling of invincibility the boys jumped on a plane the next day to visit our pilot manufacturing plant, no rest for the wicked! At the same time Michael was arriving at the Google Campus building in London’s trendy Shoreditch to participate in the semi-finals of the NACUE Varsity Pitch graduate entrepreneurship competition. 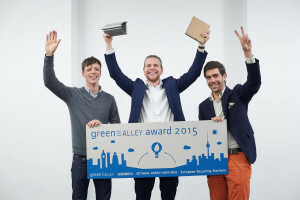 Like the Green Alley Award, the number of applicants was into triple figures, so for Adaptavate to reach the semi-finals was an achievement in itself. Adaptavate were entered into the Product Design category and up against some very strong pitches from some fantastic entrepreneurs. After a two minute pitch followed by questions, to his delight Michael was announced as the winner of his category and progressed to the final held towards the end of November at the China Exchange. Watch this space! To read more about both events please follow the links at the bottom of the page. 2, 4, 6, 8, Adaptavate!